Four new cross-border solutions expand the initiative Facebook (NASDAQ:FB) launched in September of 2016 to give businesses global reach. The benefit of using Facebook’s platform to look for international opportunities is the incredible amount of data it provides. These four solutions deliver extremely valuable insight into new locations, which can be your neighboring city or one that is on the other side of the globe. Dynamic Language Optimization – Even if you are a polyglot, it will take you a long time to translate your campaign into different languages. With this language optimization feature, Facebook says it will match the right language, to the right person, at the right time. And best of all it will optimize the performance based on your campaign objective and total budget. Multi-country Look-Alike Audiences – Without ever having to step into another country, this feature will find customers like you currently have in any combination of countries or regions. Multi-city Targeting – If you are looking to target multiple cities, your small business can now target cities based on population size without adding cities individually or doing research. Facebook IQ Cross-Border Insights Finder – What if you are looking for a new location, but don’t know where to go? The Insights Finder will help advertisers discover untapped markets using comparative data based on past campaign performance across different channels, including Facebook, Instagram and Audience Network. Facebook introduced Cross-Border Solutions last year with the goal of helping businesses grow internationally no matter where they are. Using features such as Lookalike Audiences, businesses are able to reach customers in new cities, states and countries that are just like their existing ones. With so much information available to small businesses today, it can be overwhelming at times. 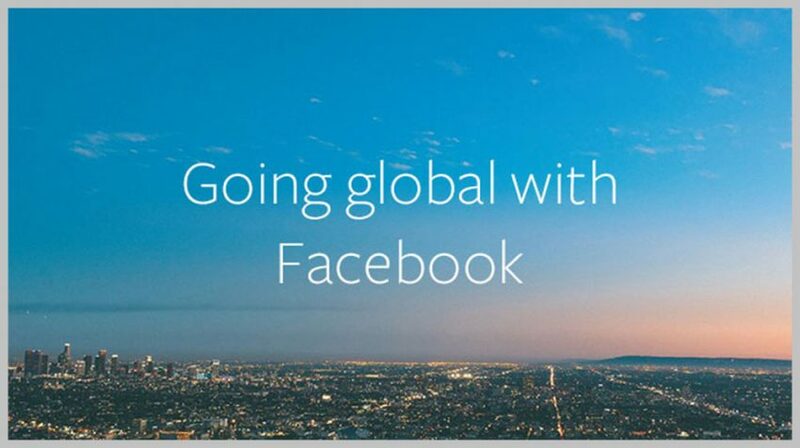 Facebook has developed a Blueprint eLearning course titled Expand across Borders with Facebook to help navigate the waters. You can access the course here.